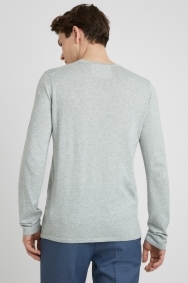 This stylish tailored fit crew knit is a versatile staple item for your year-round wardrobe. The neutral grey tone gives you the freedom to add colour and detail elsewhere. An ideal choice for smart or casualwear, the lightweight and stretch fabric ensures you move easily and stay comfortable throughout the day. 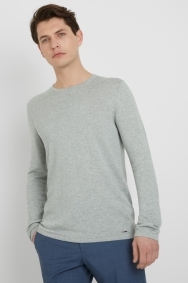 Layer over a t-shirt or skinny-fit shirt to complete your casual look.